Here is a selection of websites that we embrace alongside our Local Mission Goals. The City of Bradford has a proud history of welcoming and including newcomers from all corners of the world. Officially launched in October 2008, City of Sanctuary Bradford has a vision to see the culture of welcome and hospitality extended to include those seeking sanctuary in our city. In November 2010 Bradford became the 3rd city in the UK to be formally recognized as a ‘City of Sanctuary’. They celebrate the huge contribution that asylum seekers and refugees bring to the city and want to see this more broadly recognized. Their aim is to challenge misinformation and negative stereotyping already in the public domain. 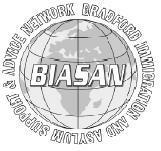 Some of our own Church Members volunteer in work with refugees and asylum seekers in Bradford through BIASAN. Each year thousands of asylum seekers, fleeing persecution in their own countries, come as strangers to seek refuge in the UK. 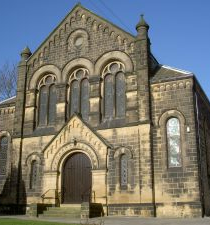 During the summer of 2005 a number of Churches in Bradford were finding asylum seekers in their congregations. Not only did these newcomers enrich the worship and fellowship of those congregations, but local people and ministers began to discover the real hardships that asylum seekers face. BEACON was set up out of a shared concern to address the practical and spiritual needs of the many asylum seekers and refugees who now live in the Bradford District. It’s an ecumenical response to fulfil the Biblical injunction to welcome the stranger, but seeks to work with other faith groups and secular agencies to offer care and support to asylum seekers. Some of our own Church Members volunteer in Beacon’s work with refugees and asylum seekers in Bradford. She fled Zimbabwe in 2003 because her husband was murdered and she was scared. We were opposed to the violent and oppressive government of Robert Mugabe, which is why he was killed. Managing to get a flight to the UK, she stayed with an old school friend but her friend’s circumstances changed and she became homeless. It was then that she heard about a project in Leeds which provided short term accommodation to homeless asylum seekers. She was taken to a British couple’s home where she was kindly allowed to stay whilst she applied for asylum. It was from Abigail’s desperation that Abigail Housing was born. Since its inception, Abigail Housing has grown and developed, now not only housing refused asylum seekers but refugees who are in danger of becoming homeless when they receive their Leave to remain in the UK and their Home Office, Section 95 support stops.